How much difference does 63 horsepower make? In the case of the Mazda CX-5, it's the difference between a rewarding crossover SUV and one that's actually a lot of fun to drive. Since the CX-5 was first introduced, automotive writers have praised its styling, quality and value. Many have said it sets the bar for compact crossovers. But they've also noted the standard 2.5-liter four cylinder engine is a little underpowered, especially since some competitors offer more powerful optional engines. Mazda finally responded to the chiding this year by dropping the turbocharged 2.5-liter four from the three-row CX-9 crossover into the higher trim levels of the CX-5. The difference is immediately noticeable in off-the-line acceleration and freeway passing. But the performance improvement really jumps out when the CX-5 is toggled into Sport mode with the switch on the center console. Then it begins to compete with the Mazda Miata sports car, accompanied by a low growl from the exhaust. Mazda, what took you so long? Good sales without the turbo engine, undoubtedly. Buyers have flocked to CX-5's striking looks, high quality interior materials, and overall good handling, even without the additional power. 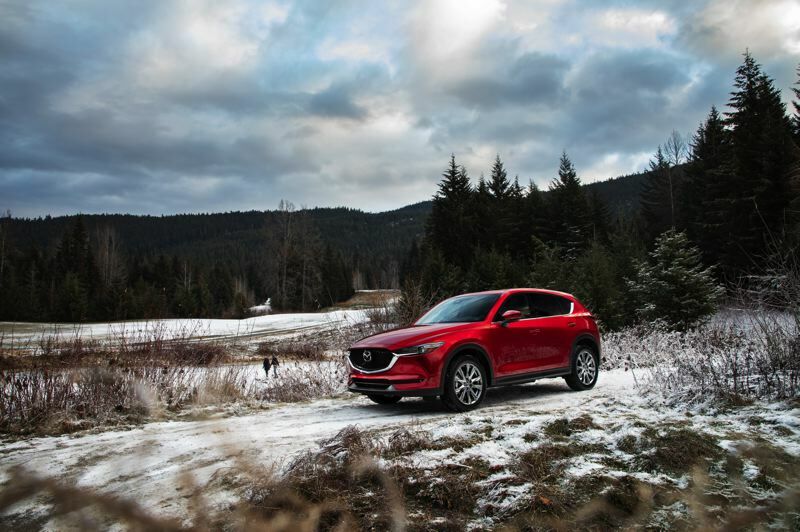 But Mazda also released a Signature edition of CX-5 this year that is decidedly upscale and intended to compete against genuine luxury compact crossovers. It has even higher quality interior materials than previously fully-loaded versions. And a higher price tag — just under $40,000, which would seem a lot for any CX-5 if it couldn't also compete performance-wise. One qualifier is, it takes premium gas for the 2.5T to pump out 250 horsepower. With regular, the output is only 227 horsepower. That's still an improvement over the 187 horsepower in the non-turbo engine, which continues as the base power plant in the 2019 CX-5. But drivers who want to maximize performance — and why spend the extra money if you don't? — should be prepared to pay a little more for gas, too. That said, in a week of test driving in mostly Sport mode, we were never tempted to wish for a little more power. 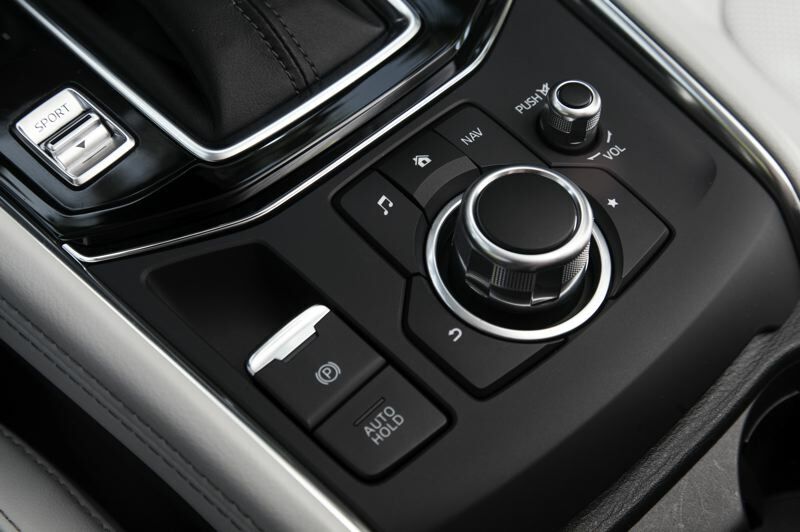 The standard six-speed automatic transmission was perfectly tuned to take full advantage of the new engine. Although not a dual clutch automatic, we could even feel slight downshifts when decelerating. All CX-5s have a revised suspension and the the latest version of the company's G-vectoring Control Plus system, which improves corning. The result is once again the smoothest riding affordable compact crossover on the market. The upgraded interior appointments were a little harder to notice. That's probably because we've always tested top-of-the-line models, which has their best materials. 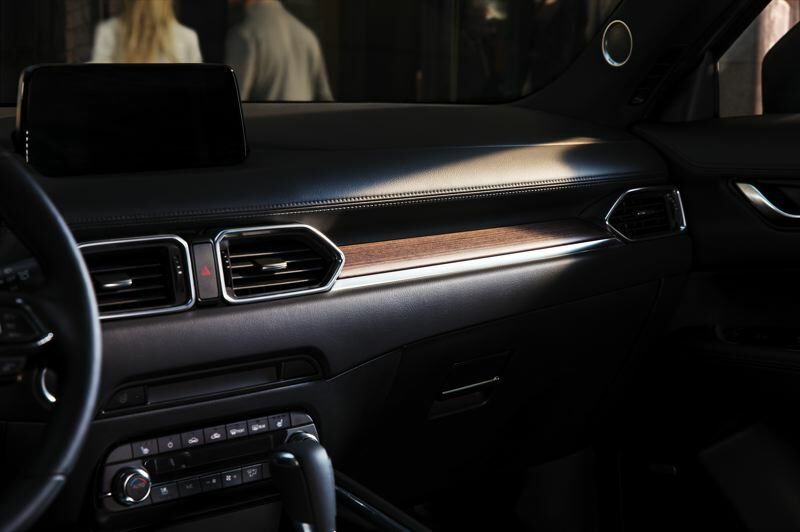 While the leather in our Signature model seemed richer and there was a little more real wood trim, the rest of the interior looked and felt the same, which is to say well designed and built, but fundamentally the same as last year's model. 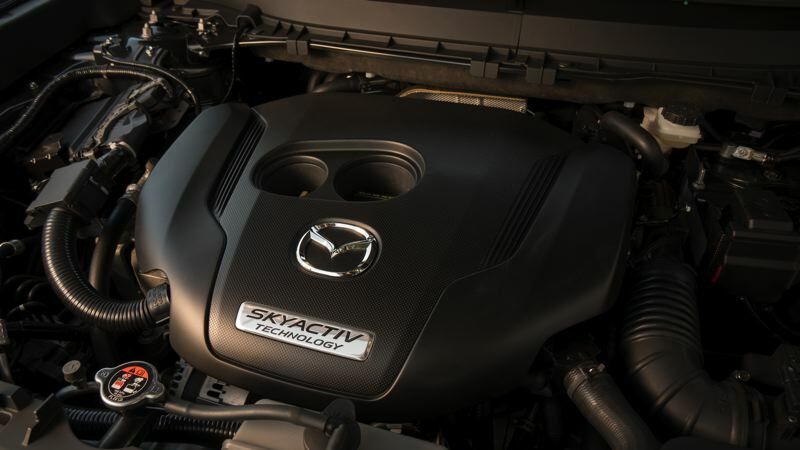 Although Mazda offered turbo engines in some previous vehicles, the held off making them available in recent years, arguing that their SkyActiv technology made their normally-apirated engines competitive. 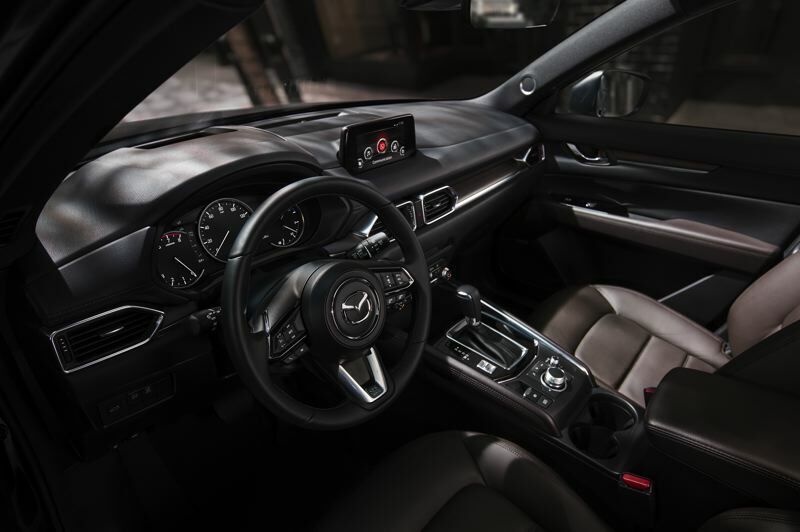 But once they put the 2.5T in the CX-9, it was hard to keep fighting the critics, and now they're also offering it in their designed 2019 Mazda6 midsize sedan, too. Better late than never.